There is no good form of Brexit for young people, writes Our Future, Our Choice spokesperson Cathleen Clarke on the launch of a new report. Every generation has been better off than the one before them. For us, that is not the case. A toxic combination of expensive housing, squeezed incomes, student debt and meagre pensions means we’re going to be poorer than our parents. Nine out of every 30 children in a classroom live in poverty – and more than 38% of teachers say they see pupils arriving at school hungry. 1 in 3 young people will never own a home. As shown by the report ‘Young People and Brexit’ released this week by Our Future, Our Choice, Brexit compounds these problems. Long-cherished rights and opportunities are teetering on the brink, dependent on negotiators, not the will of the people. More significantly, Brexit threatens an already-imperiled youth with massive financial loss. In the worst case scenario, Brexit could cost young people £108,000 by 2050, just under four times the cost of tuition fees. We are the children of the great recession. There are parallels to our conclusions on the future of Brexit. The recession hit young adults the hardest and for the longest. The poorest of those were hurt the most. Our report notes that in the case of a post-Brexit recession, young people’s long term earnings could be permanently depressed, much like the last one. Those working in agency, temporary, or zero-hours contract jobs stand to lose the most from the erosion of EU-guaranteed worker’s rights. Immediately upon leaving, young people could suffer a £400 per year hit to their earnings. Worst of all, these conclusions do not just apply to young adults. The damage extends down to the youngest members of our society. One of the most damaging revelations of the report points to a disproportionate increase in child poverty as a result of price inflation caused by devaluation of the pound. There are 4.5 million children living in poverty in the UK. One child is too many – but countenancing a policy that might increase this number should be considered the pale for the Labour party. I’ve supported Labour since I was a child – but I can’t support those who would back a Brexit deal. The left must take on the duty of protecting the young and vulnerable. A kinder, gentler politics mandates us to take notice of this report and its conclusions. 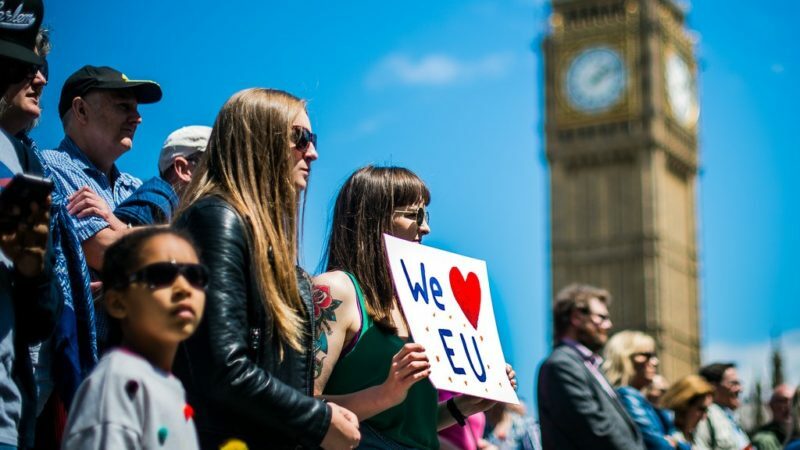 The takeaway is inescapable – Brexit quantitatively and qualitatively harms the young. The degree to which it does this is determined by the model that the government will pursue. Any progressive MP who votes with the government on Brexit is voting for a loss of guaranteed rights, an increase in child poverty, and an inexcusable increase in intergenerational inequality. Our report shows that Brexit can only be regressive. This cannot stand. Those looking to buck the whip, for fear of no deal, should examine their electoral futures. They will not be forgiven by their young constituents. In my party, the greatest increase in membership of recent times has been fuelled by the young. MPs will be making a strategic error if they do not deliver for them. But more importantly, they should closely examine their consciences. When their children and their constituents’ children ask them why they’re poor, what answer will they give? Cathleen Clarke is a Labour Party member, and Mobilisation Officer at Our Future, Our Choice. Sign her petition here.